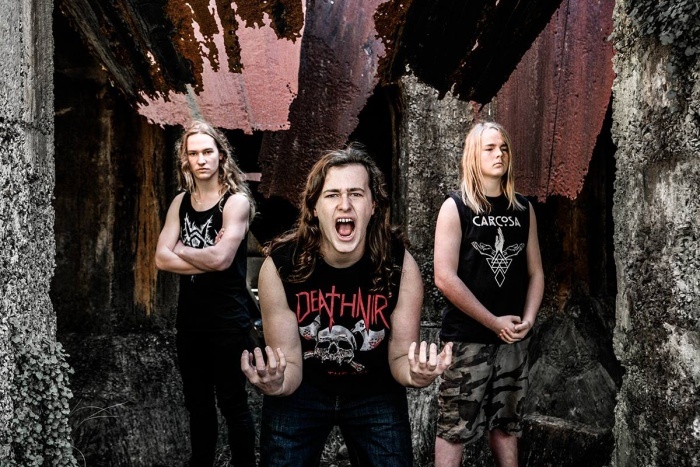 New Zealand thrash metal band Alien Weaponry just entered its second week at the top of the Spotify NZ Viral 50 Music Chart with it’s song Rū Ana Te Whenua. Spotify is the world’s largest online music distributor and it’s “Viral 50” chart measures not only streams and downloads of a song, but also its shares. “It’s a great way of measuring the buzz or excitement around a particular track,” says London based critic Hrefna Helgadóttir. It should be no surprise that people are excited and captivated by Rū Ana Te Whenua. The track, written entirely in Te Reo Maori, is dedicated to two of the band members’ great great great grandfather, Te Ahoaho, who fought and died at the historic battle of Pukehinahina (Gate Pa) in 1864. It went viral on social media in its first week of release and has attracted attention from as far afield as Europe. It’s been a busy month for the teenage trio, who have also been nominated for the coveted Apra Silver Scroll award for their song Urutaa; and are currently in the middle of a national tour where they have been playing to sell-out audiences. You can catch Alien Weaponry on tour in NZ through Aug - Sept - Oct.